When it comes to business no other function seems as misunderstood as marketing. This is surprising given how important marketing is to perhaps the most important lifeline of any business. Its customers. With that being said we have put together a list of statements we believe to be truths about marketing that will help to simplify it for you. This is isn’t about definitions or meanings, but rather making it easier to fully understand marketing. In turn a better understanding leads to better strategies, ideas, and execution which can mean more customers. What are the better ways to understand marketing? 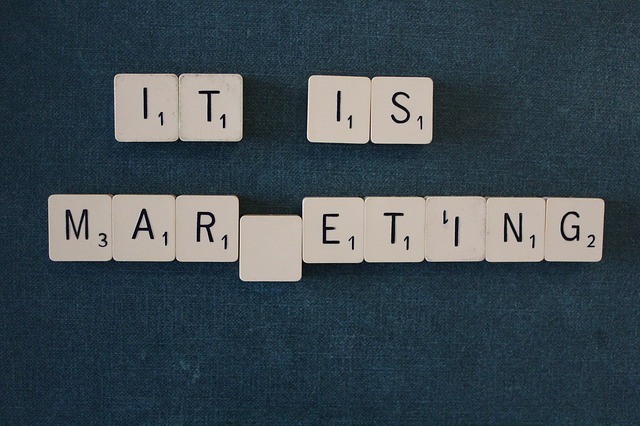 Marketing is what someone who is providing something uses to connect with a user of what is being provided. It is something that is used to bring two things together. It’s not something that is used only in business. It’s something that can be used by the average person. An example of the average person using marketing is when they might market themselves to a prospective employer by polishing up their resume, putting on a suit, or even brushing up on their interview skills. The strategy to polish up a resume, or practice interviewing skills are both individually and collectively marketing, because using them brings you closer to your possible employer/job. In business marketing is used to bring together a product and a customer. Marketing means either the product or the customer moves towards the other to connect at a desired point. The coming together of product and customer could in fact mean a sale occurs, but it could also mean signing up for an email list, building brand awareness, or providing value to the customer in the form of content marketing for example. Sometimes the product moves towards the customer as in when your marketing leads you to start offering catering services to meet the customer at their location. Sometimes the customer moves closer to the product, as in when they see a billboard sign and make the extra drive to the specified location. Marketing is also not advertising. Marketing is not one thing, but many different strategies and tactics you can use individually or collectively to reach your customer related goals. Think of marketing as a whole pizza, with many, many slices such as advertising, promotions, partnerships, PR, and packaging. Every time you want to reach a customer, you decide which slice you want to pull out and use based on your budget, resources, goals, or desires. All the different strategies of marketing (slices) serve as a link between a product and customer. If there is a product and customer or prospective customer for that matter, then there is marketing. In the case of business, marketing always exists. Despite what you might hear, there can’t be ‘no marketing’. There is marketing, because marketing lives in that space where the inherent nature of a product is to be consumed, used, and/or experienced by a customer. If you have a product, or identify a consumer base that has an unfulfilled need, then marketing is what you use to erase the space between the two. It meets the need for a provider (product/business) and user (customer/audience) to come together. Marketing is there when you decide which location you to offer your product or service. It’s there when you determine how much to charge for your product, because price sends a signal to the customer of things like quality and affordability. It’s there even when you don’t charge for your product. When you decide to give away free cans of your drink on a city street to establish awareness, recognition, and a following, marketing is there. It’s also there when you let users sign up or use your services for free, because you can’t find a way to monetize yet, but you still want people using your service. It’s there even when you think you are not doing marketing, but instead putting your money towards improving the product’s functionality, and user interface. After all what’s a new user interface, or website design but packaging in today’s digital world. If the strategies or tactics you use help attract more customers or users, then you just did marketing. Even though a particular strategy like using Big Data, or social media might seem difficult, marketing itself is simple. It’s simple because it lets you decide how you would like to build your relationship with the customer. If you are in business, perhaps one of the best ways to think about marketing is ‘as it relates to your customer’. Now that you have this list of marketing truths, hopefully you can begin to work on developing ways to reach your target customer. Also if you have other ways you think of marketing to make it make sense for you, feel free to share.